Some companies make it infuriatingly difficult to delete their accounts, and Amazon is one of them. If you can’t figure out how to delete your Amazon account, don’t feel bad – few people actually can! Different people might have different reasons for doing so. If you no longer use Amazon for whatever reason, deleting your account is a good idea. 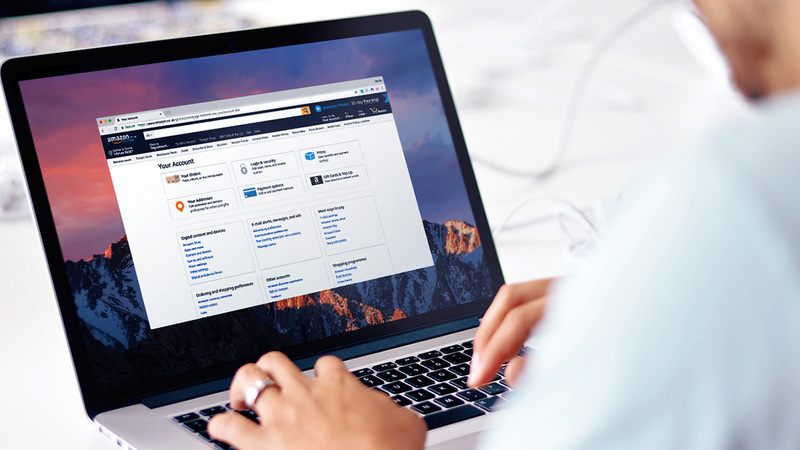 Your Amazon account contains sensitive financial information that you don’t want hackers to access, so secure it by removing it from the internet! Others may want to stop supporting Amazon’s business practices or their controversial HR policies. Whatever your reason – it shouldn’t be this hard to delete your account! What happens when you delete your Amazon account? Make sure you understand what will happen when you do delete your account. 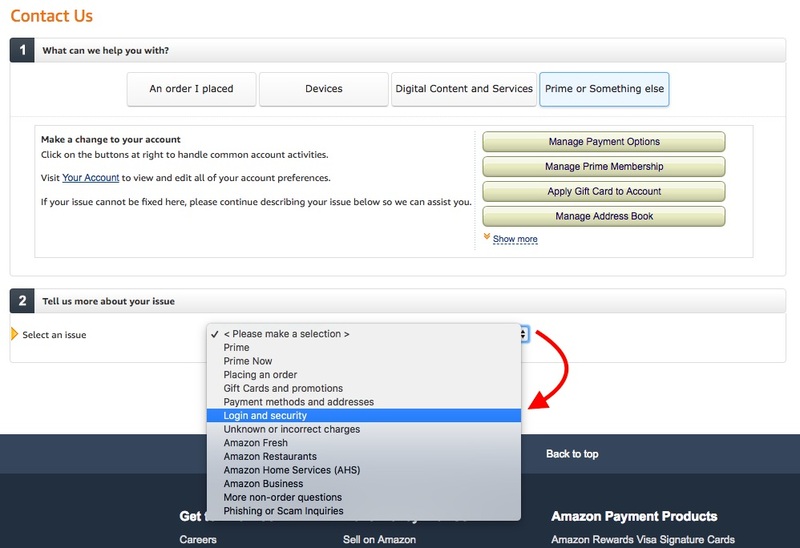 There are plenty of services connected to your Amazon account that will no longer work, and you'll lose access to a lot of digital content as well. 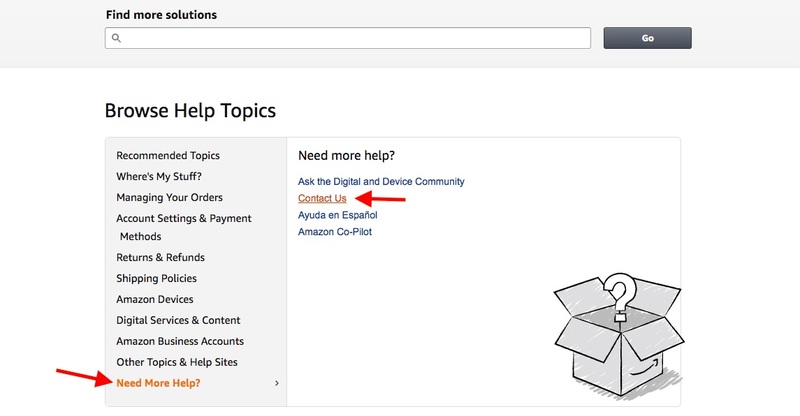 Amazon’s customer service team will send you a more thorough list before you confirm the deletion of your account, but check these points out to see if there are any preparations you need to make before deleting your account. You’ll lose access to your other Amazon accounts, including Audible.com and your accounts on different country domains (like amazon.co.uk and amazon.de, for example). You’ll lose access to digital content linked to your account, like Kindle ebooks, digital music, Amazon apps, and Prime video content. You won’t be able to use your Amazon gift cards or other vouchers. You won’t be able to return or refund items ordered by the account you’re closing. You won’t be able to initiate Textbook Rental returns but you will be held accountable for outstanding rentals. You will lose access to content in your Games & Software Library. Your reviews, discussion posts, and other social content will be removed. 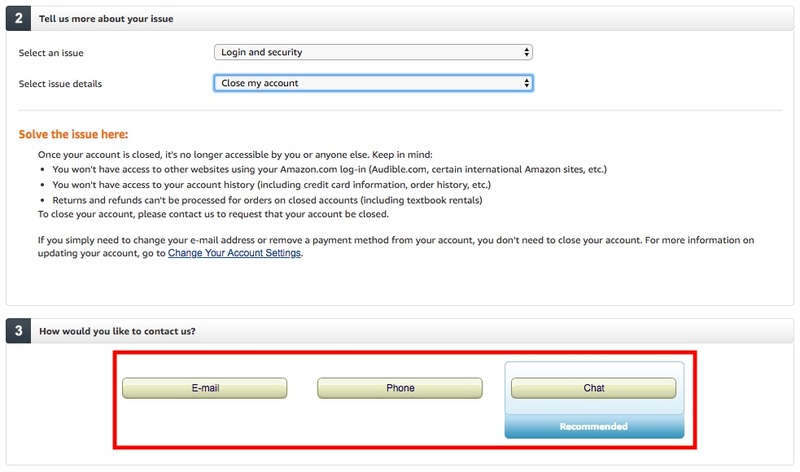 In addition, if you have Amazon Web services or Kindle Direct Publishing account, you will have to contact their customer service teams separately to delete those accounts. 1. None of the usual places you’d check for account deletion will work. You’ll have to start with the help section on the bottom of the page. 2. Once you click on “Help,” scroll towards the bottom, where you’ll see “Browse Help Topics”. Click on “Need More Help?” and then on “Contact Us” in the panel on the right. 3. You’ll be presented with four topics to choose from. Click on “Prime or Something else”. 4. The second panel on the bottom will have a dropdown menu where you can select your issue. Click on “Login and security”. 6. 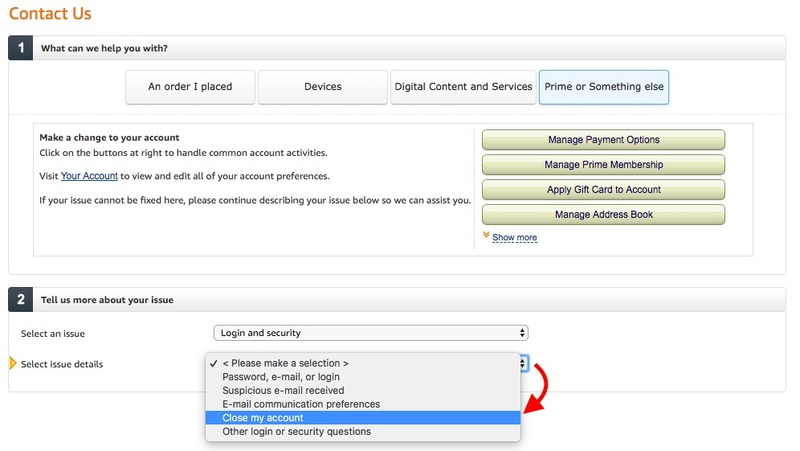 Even after all of this work, Amazon won’t actually let you close your account yourself! Instead, you’ll have to choose a way to contact their support team. 7. I chose the chat option. 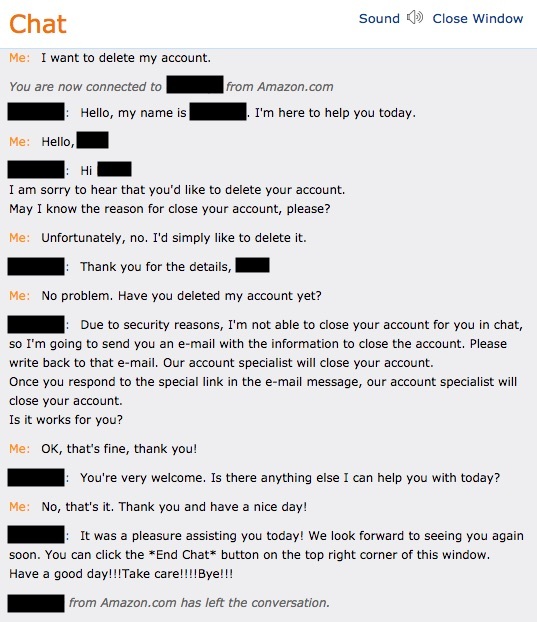 Although the Amazon representative was responsive, I had to wait for an email anyway to complete my account deletion process. I received the email soon after. Another representative I contacted told me that my account would be closed within two business days, but they managed to delete my account that same day. Appreciate the help? Get more great tips by subscribing to our monthly blog newsletter below!